Sea Flowers is a holiday complex situated near Lozenets village, on the edge of a picturesque beach. The ensemble of eight houses is a natural outcome of the sea reef, passed through the nose of the rock. 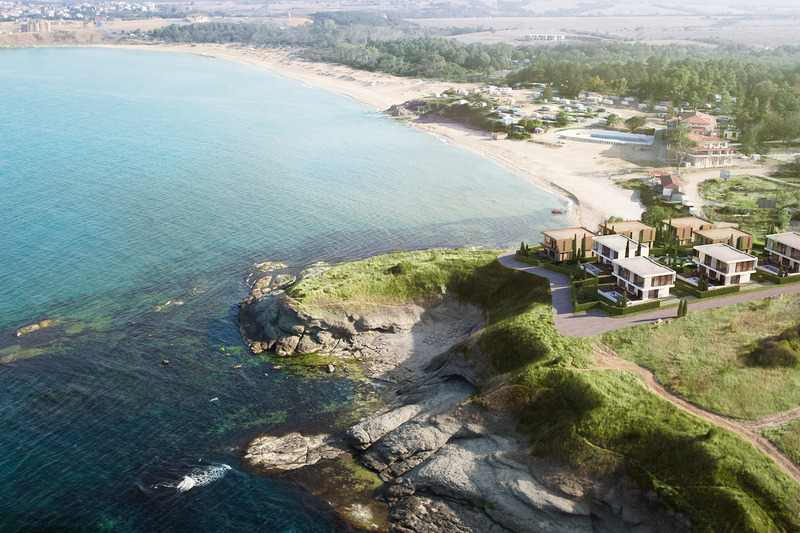 The exclusivity of the complex is enhanced by not only by the sea view, but also by the immediate vicinity to the bay, the beach and the beautiful sand dunes. 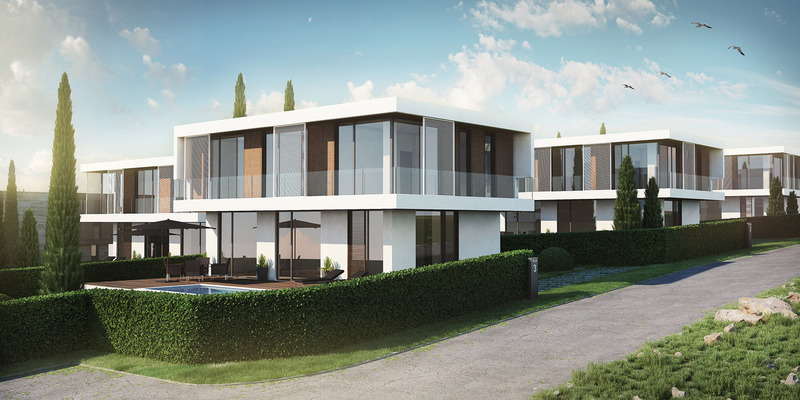 Sea Flowers is designed on territory of 4263sq.m, consisting of similar villas, each with yard space and pool. There is a common recreation area situated in the centre of the complex. 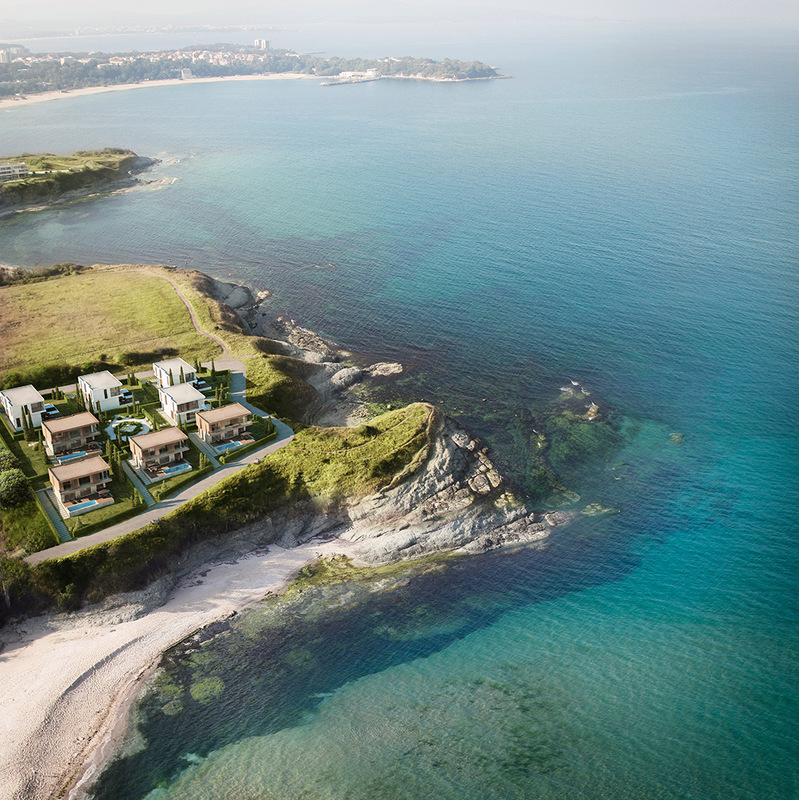 Each villa, called after a sea flower is designed in two storeys. On the first floor is the day area- living, dining area and kitchen. Wide glazing opens the view to the porch, the pool and the yard. Three bedrooms and bathroom are situated on the second floor. The wide sea and nature panorama is the leading idea in planning. The volumes of the building are simple and minimalistic, underlining the horizontal line and the organic materials synchronize to surrounding environment. 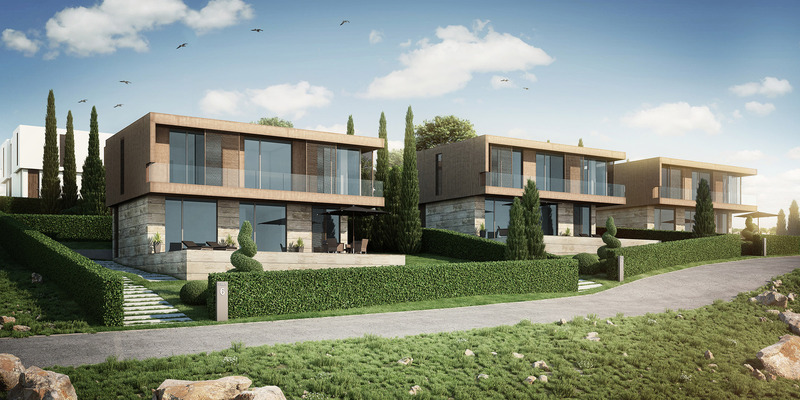 Building designs, the work of the creative architects from architectural studio STARH Stanislavov architects, have won numerous awards in Bulgaria and abroad.